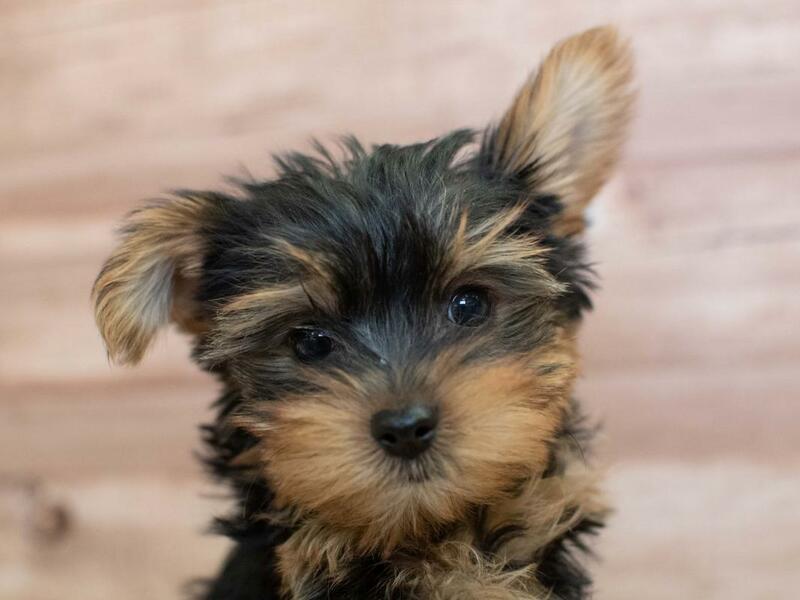 Yorkshire Terrier puppies, affectionately known as “Yorkies,” offer big personalities in a small package. Though members of the Toy Group, they are terriers by nature and are brave, determined, investigative and energetic. They have long, luxurious blue and tan coats and because of that they are non-shedding. This portable pooch is one of the most popular breeds according the AKC? Registration Statistics. 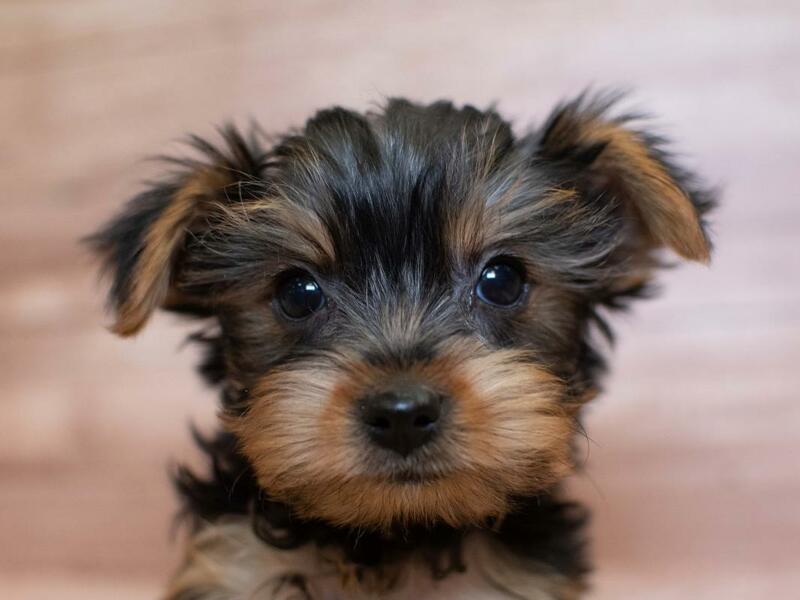 Named for the English city from which they originally hail, Yorkshire Terriers were used in the nineteenth century to catch rats and other small rodents? ?in clothing mills. Surprisingly enough, in its beginnings, the Yorkie belonged to the working class, especially the weavers; in fact, facetious comments were often made about how the dogs' fine, silky coats were the ultimate product of the looms. Eventually, the breed left the workforce and became a companion animal to families of European high society. Yorkies are easily adaptable to all surroundings and because of that, they? ?travel well and make suitable pets for many homes. Due to their small size, they require limited exercise, but need daily interaction with their people. Their long coat requires regular brushing. The Yorkie does better around older children that won't pull or yank on them. They tend to bond with one person,? ?therefore extra socialization is needed in a family environment. That of a long-haired toy terrier whose blue and tan coat is parted on the face and from the base of the skull to the end of the tail and hangs evenly and quite straight down each side of body. The body is neat, compact and well proportioned. The dog's high head carriage and confident manner should give the appearance of vigor and self-importance. Grooming is recommended every six weeks or so. The most popular haircut for the Yorkie is called a 'puppy cut'. 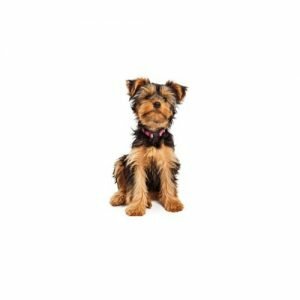 Do you think a Yorkshire terrier could be the right breed for you and your family? 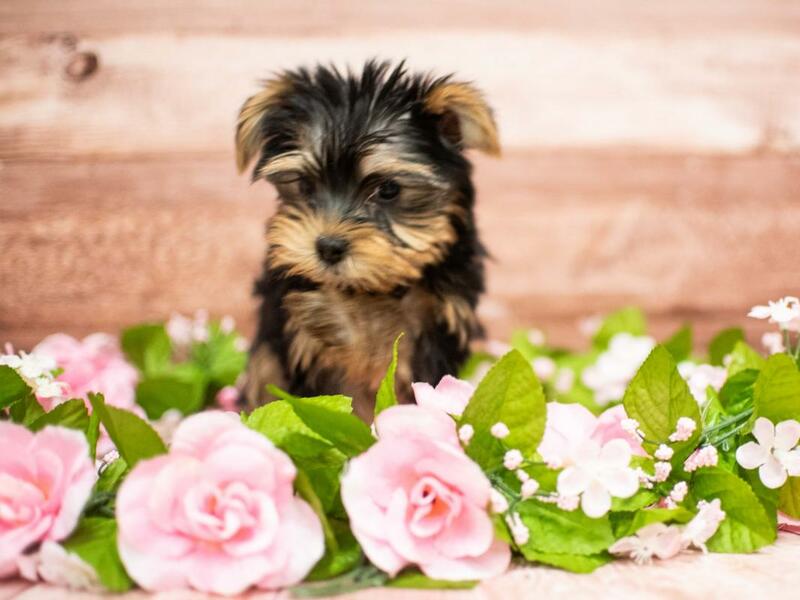 Check out our available puppies page to see all our adorable Yorkshire Terrier puppies for sale! 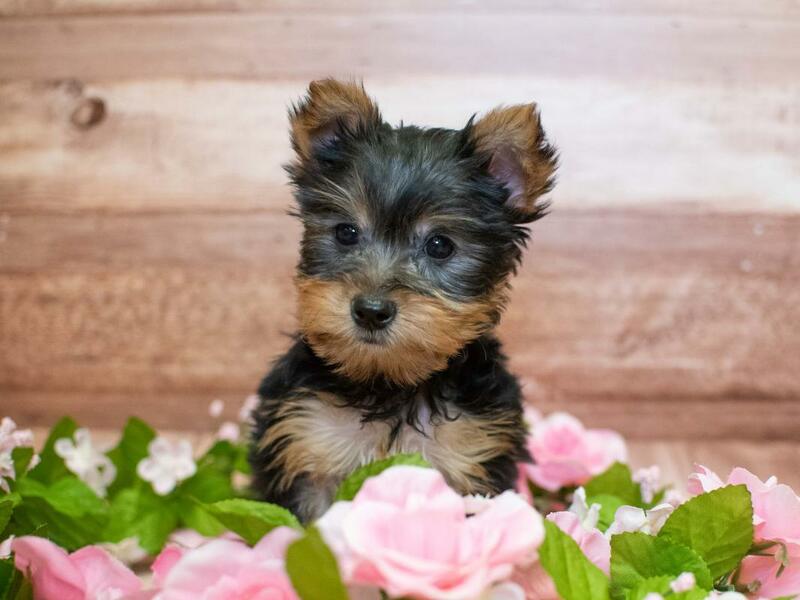 Are you interested in purchasing a Yorkshire Terrier?